"Triangle Raffle: Big Prizes! Speedy!" Minako: Draw a ticket, please. Minako (brightly): "Especially since you bought merchandise." The Tomato Mart theme tune skids to a sudden halt. Sound of crickets chirping etc. The phrase "Especially since you bought merchandise" is somewhat puzzling when first encountered, even though the individual words may give a vague sense of meaning. For a start, the sentence seems to be incomplete - "since you bought merchandise"... then what? What exactly is it supposed to mean? In fact, in its original Japanese form this sentence sounds entirely natural, but the meaning has been muddied through an English translation that is a little too literal, failing to communicate the true sense of the Japanese idiom. To understand how the English translation came about, we need to look at the Japanese word sekkaku. It can be used as an adverb or an adjective, and means something along the lines of "going to all the trouble of doing something (with an unfortunate result)". This word is fairly common in Japanese, whereas in English there's not really any single word that is capable of capturing the full sense. It's quite straight-forward to use though. Here are a few examples to illustrate, placing it in an English sentence for simplicity. Example 1: I sekkaku took a day off work, only for it to rain all day long. Example 2: Thank you so much for your sekkaku invitation, but I've got other plans tonight. The inviter will get the message that you aren't able to make it, without pressing for a reason. Minako: "Sorry about that. Even though you sekkaku made a purchase from us... "
The same scenario in Japanese reveals the intended meaning. The first point of interest is that in Japanese Minako expresses her sympathy, but this line was dropped from the English caption. Presumably this was due to on-screen space constraints for the written words, since English tends to take up more room than Japanese, but unfortunately it also removes a meaningful part of the conversation. This is followed by the phrase in question. It can be seen by the ellipses ("...") at the end of the sentence that in the Japanese the rest of the sentence (such as "you weren't lucky this time") is not stated directly but implied, in a similar way as with Example 3 above. 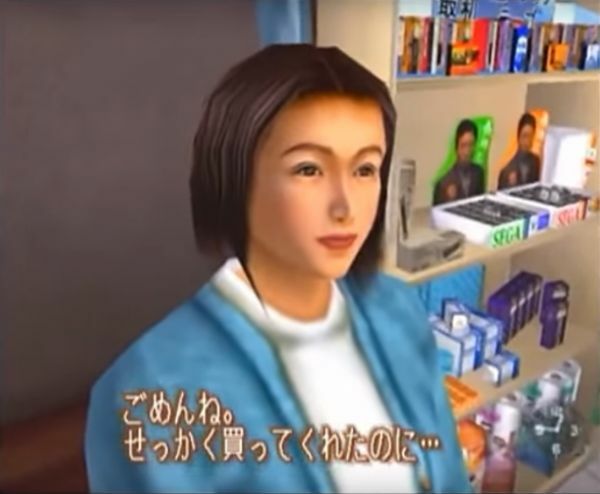 So now the full meaning and context is clear: Minako is sympathetic that Ryo didn't win a prize, despite the fact he went to the trouble of qualifying for the raffle by buying something at the shop. The official translation uses the word "especially" to try to express this, but this just isn't sufficiently accurate to do justice to the meaning. It's interesting to note that the word "merchandise" is not actually even used in the Japanese sentence, and it's inclusion probably doesn't do anything to help make the sentence sound any smoother or more natural in English. So What's a Better Translation? This is a good question. It's not an easy task to try to stay close to the original Japanese words in English without sounding a bit stilted, since it doesn't have quite the same cultural fit. Minako: "Oh, too bad. Better luck next time." The voice acting is also worth a note. The delivery as it stands is a little too upbeat for the situation - this is understandable, as the voice actress probably had difficulty guessing the meaning of the sentence. A slightly more sympathetic tone, as in the Japanese version, would be more appropriate here. 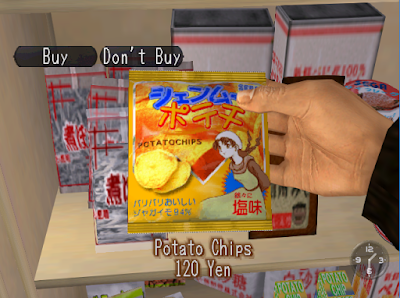 Ryo contemplates buying more merchandise. I hope you enjoyed the analysis (over-analysis) of this phrase. Do you agree? How would you translate it into natural-sounding English? Leave your thoughts below. 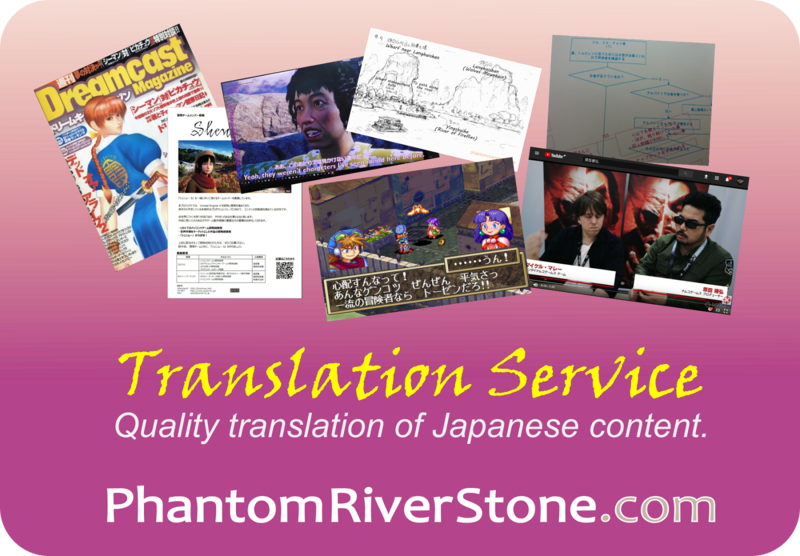 Any comment from native Japanese speakers also welcome! English is my second language and Japanese my third. Looking back, when I first played Shenmue, I was quite young and my English level was still very limited. That sentence might have sounded a bit off but I totally understood the meaning back then. Looking at the Japanese version of the sentence, Minako starts with a simple "Sorry" and "ne" to make it softer and also because the information is shared between Minako and Ryo. Now this is where it gets really hard to translate it properly. You explained pretty well the meaning of せっかく (sekkaku) but then, Minako says 買ってくれたのに (katte kureta no ni). Sekkaku is adding a sense of pitty and "no ni" adds to that because it has a meaning of contrast. That means, if you didn't go to all the trouble of buying something, the situation wouldn't be as bad. The problem is that I don't know how you can give that idea of contrast in English without saying the whole sentence. Minako: That's a pitty, especially since you bought something. Thank you for your thoughts and additional analysis. I think your suggested translation captures the meaning nicely. It's also interesting to hear how your experience with the game has changed over the years as a non-native speaker of both English & Japanese. Shenmue really has many facets that continue to be rewarding to contemplate and explore even now - the closer you look, the more you can find. oh my god YOU'RE MY HERO FOREVER!!! 17 years of playing this game and i finally learn this! lol. yup i saw! you have an awesome blog, thanks so much for making this. 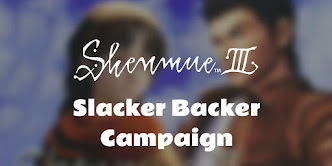 it's the real, true diehard fans such as yourself who never gave up on shenmue 3 that made it a possibility - i'd given up by like 2006/2007ish. here's another couple "say what"'s you might have some insight on for future posts? i hear a lot of "i see" from ryo, which i always thought was a ryo-ism until i met a japanese guy in college. he spoke fluent english (went to international school for high school), but frequently used the phrase "i see" as well. another one is when you call gui zhang to meet him/master chen, then wait a day without seeing him. if you call him again the next day, gui zhang will say "hazuki? what are you doing?" to which ryo responds, "i understand". i imagine the original japanese is "wakari mashita" (or something to that effect, i dont' speak japanese). but i don't know what it means, or why it's appropriate to respond with that. clearly something lost in translation, would love to read about it if you have any insight. 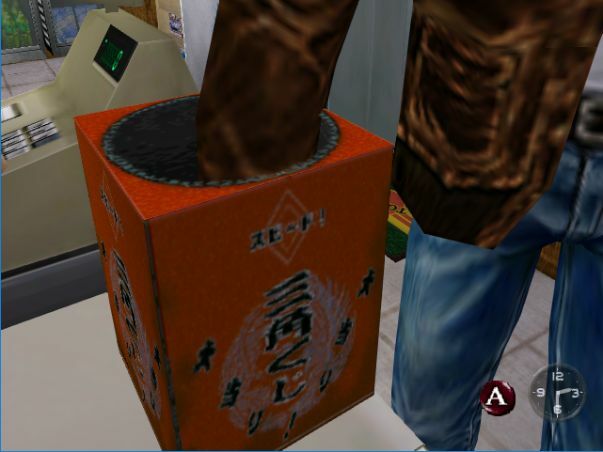 Great to hear you've getting reacquainted with Shenmue. 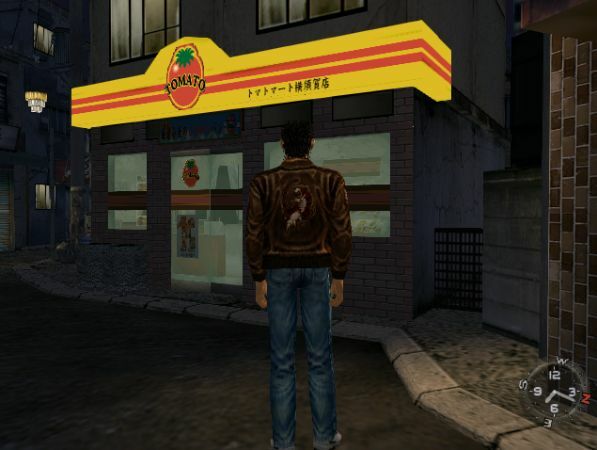 It's a great time to be a Shenmue fan! You've picked out some interesting points. I'll have to check out that phone call - it certainly sounds like something's "off" with the translation there. About the frequent use of "I see", in general when speaking in Japanese, in general a lot more feedback is expected than in English. And since you also need to be careful about your level of politeness, it often can sound inappropriate or too casual to say "Right" or "Uh-huh" like one might in English. So it sounds fine in Japanese to say "I see" a lot but in English you often might just nod, or not say anything. Anyway hope that might give a little bit of insight. 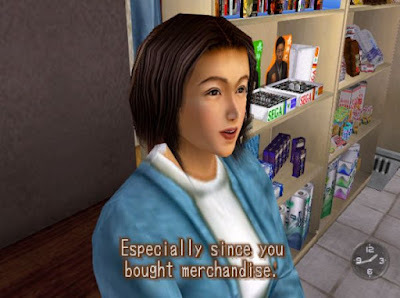 This line is surely one of Shenmue's (English version) greatest legacies, leaving in its wake a bunch of slightly-puzzled players. :) So glad to hear that we could help in resolving your 17-year confusion! There's nothing wrong with the English translation in the game. 折角 used as an adverb means "especially". 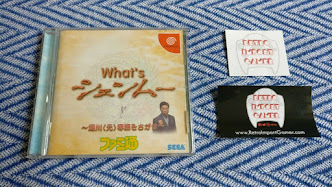 I don't know anybody who didn't understand the English translation in the game, even back when we used to play Shenmue as a bunch of schoolkids. Thanks for your comment! I think the reason this line causes confusion for some players may be not so much because it's an incorrect translation but rather due to the expression not sounding very natural. I totally agree. The major fact is, the American-English dubbing is really poor and doesn't reflect the original native one. With the latest PS4/X360 conversion of the game, we are now able to listen to the Japanese dubs for the 1st Shenmue, and we can see the difference. Especially ( :D ) when you put the French subtitles, in this very case they put "Surtout que tu as acheté des trucs...", which perfectly sticks with the tone of Minako-san, showing there some disappointment for Ryo. It's interesting that the "..." was kept for the French subs - even just keeping these would have improved the English version.